Our last day in Banff was another busy one! 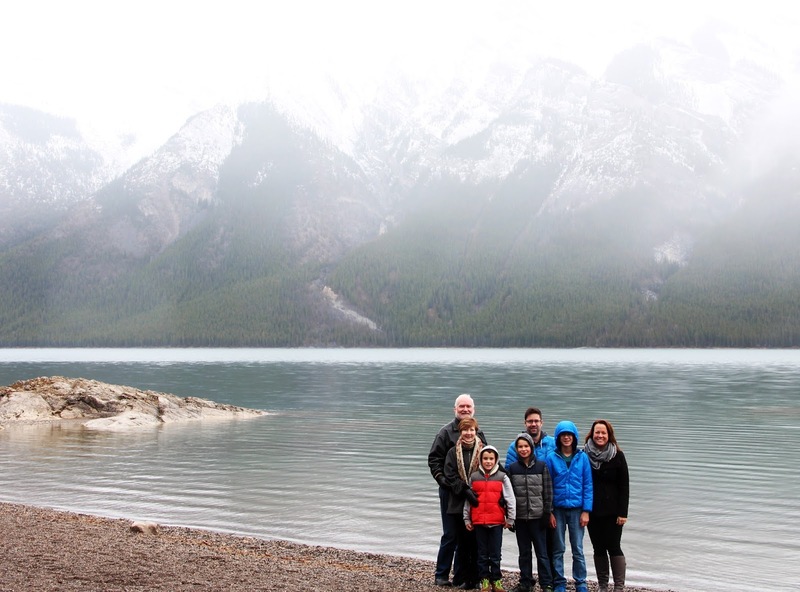 We started the day with a hike around Lake Minnewanka, just outside of Banff. It was very foggy, but still beautiful! After our hike we went to Canmore. We swam and then climbed at Elevation Place. The boys love this place and were really looking forward to coming back here! Back to Banff for supper at the Magpie and Stump. That wraps up our trip to Banff. It was a fun long weekend!